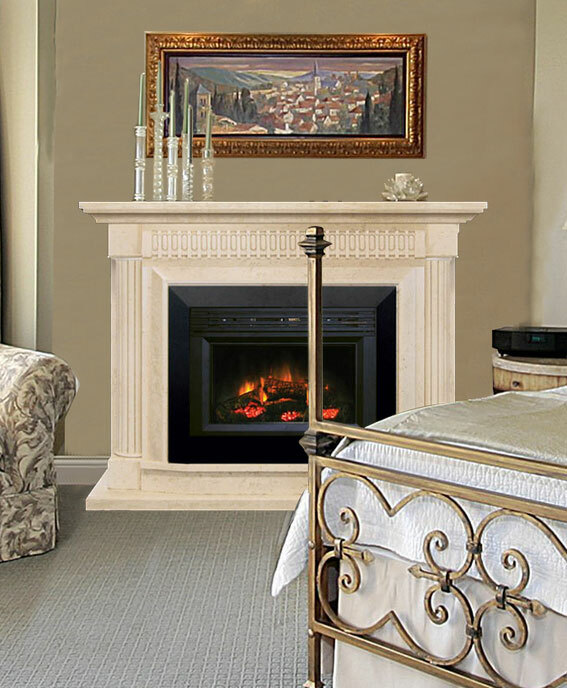 Complete plugin fireplace with electric heater unit. 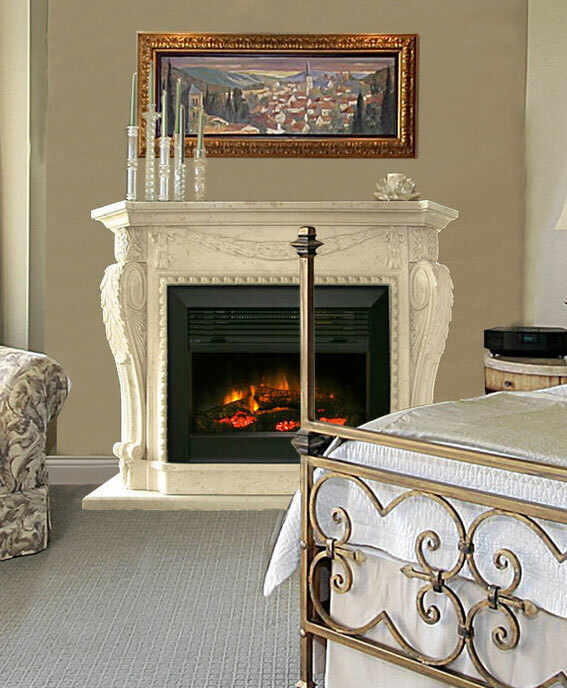 Realistic electric fireplace heater units are included with these finely detailed masterpieces. Plug into and room and create your preferred ambience with the included remote control. 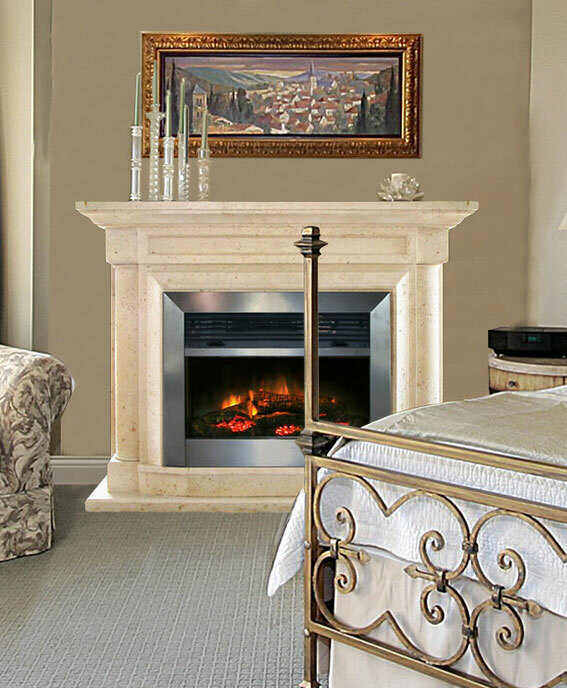 The simplest way to warn up a room with both heat and ambiance. Click on an image to view a larger image in a room setting. Click “View PDF Specs” to download a detailed PDF with dimensions. 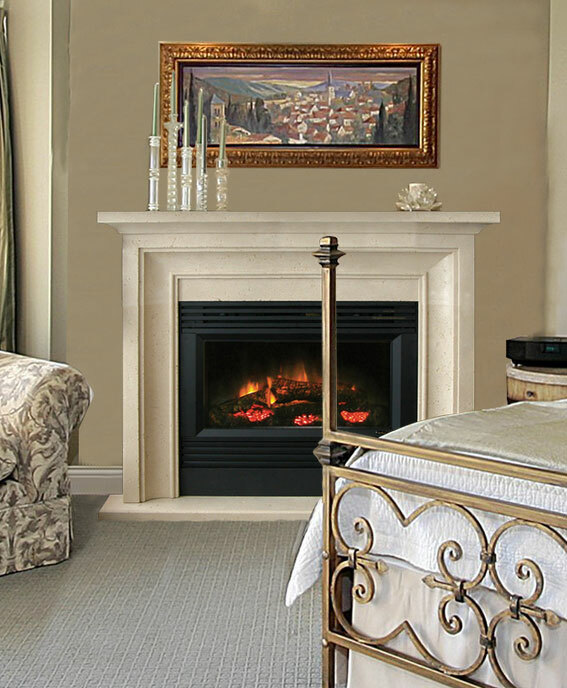 Want to see what our plugin series limestone fireplace products look like in real world applications?